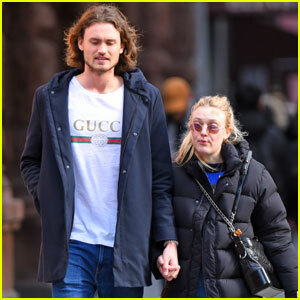 Dakota Fanning & Boyfriend Henry Frye Hold Hands on Lunch Date! | Dakota Fanning, Elle Fanning, Henry Frye | Just Jared Jr.
Dakota Fanning & Boyfriend Henry Frye Hold Hands on Lunch Date! Dakota Fanning sips on her iced coffee as she and Henry Frye leave lunch on Sunday afternoon (December 31) in Los Angeles. The 23-year-old actress kept things simple in a white T-shirt, jeans, and a fanny pack as she and her boyfriend were joined by her younger sister Elle Fanning. The night before, Dakota took to Instagram to share a photo of herself meeting her “Queen” – RHOBH star Lisa Vanderpump! FYI: Dakota is wearing Levi’s vintage 501 jeans. Dakota Fanning & BF Henry Frye Head Out on a Romantic Dinner Date in NYC! 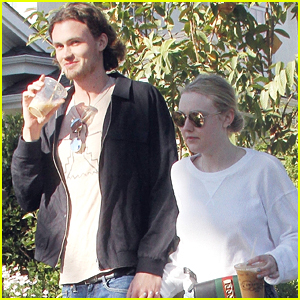 Dakota Fanning & Henry Frye Couple Up for Lunch Date! Dakota Fanning's Boyfriend Henry Frye Joins Her at Prada Show! 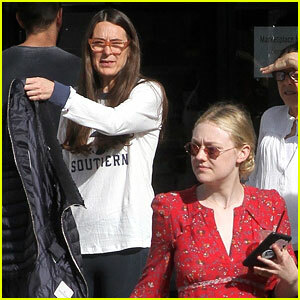 Dakota Fanning Spends the Day With Her Valentine Henry Frye! 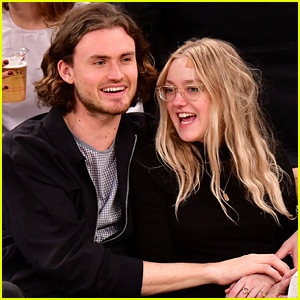 Dakota Fanning & Boyfriend Henry Frye Flaunt PDA at Knicks Game! 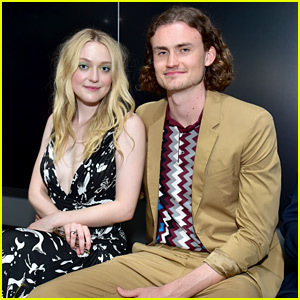 Dakota Fanning's New Beau Henry Frye is So Tall!